What Does a Freelance Copyeditor and Proofreader Actually Do? So, copyediting comes first, then proofreading—they are two different and distinct roles. Imposing mechanical consistency: Correct errors in spelling, capitalization, hyphenation, punctuation (what’s the difference between a hyphen, an en dash, and an em dash? ), and make changes to ensure a manuscript conforms to the appropriate editorial style (in academic editing, this would most generally be either Chicago, APA, or MLA style). Correcting infelicities of grammar, usage, and diction: Amend wording that is likely to distract or confuse a reader. A copyeditor will use various editing resources as well as his/her own judgment to make these changes, as the rules for this facet of editing are most often subjective. A good copyeditor will know when to hold back and when to make a change. A helpful question to ask while editing is: “Is this sentence technically correct as the author has written it?” If the answer is “yes,” leave it. Never change a sentence that is technically correct because you would prefer to write it another way. Querying internal inconsistencies of fact or tone: “On Wednesday, October 23, 2014” is an example of a phrase that would need to be flagged for the author and not just simply changed to “Wednesday, October 22, 2014.” When a copyeditor comes across a factual error or inconsistency, it is often best to query the author. It is possible that the author indeed meant Wednesday, October 22 (“Wednesday” was correct), or the author might have meant to write “Thursday” instead of “Wednesday” (making “October 23” correct). Although copyeditors aren’t responsible for the factual accuracy of a manuscript, a good editor will flag any consistencies he/she finds and ask the author to confirm. 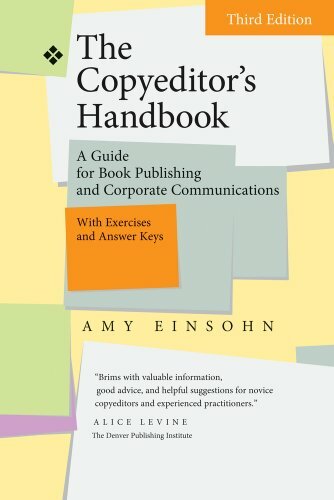 Based on the definition from The Copyeditor’s Handbook, a proofreader checks for errors in the book proof, which is normally in PDF format. A proofreader should be on the lookout for problems such as incorrect change in font style or size, line break errors, inconsistencies in chapter headings, and so on. He/she will also read through the book from start to finish and identify any errors that were not caught during the copyediting stage (because no one is perfect!). What’s It Like to Be a Freelance Copyeditor and Proofreader? Being a freelancer has many perks (being your own boss, setting your own work hours, and working in your pajamas if you want to), but it undoubtedly takes a certain personality. Freelancing is synonymous with running a one-person business, which means you’re not only the worker bee but the HR department, the accounting department, and the operations manager, among other roles. My bookshelf is overflowing with editing manuals and business books, and I’m always looking for ways to improve my editing ability and the efficiency of my business. After moving to a new city and taking an office job I wasn’t a fan of, I started to take a few editing projects in my spare time. (I highly recommend testing the freelance waters while you still have a steady paycheck.) I gave my résumé a makeover, wrote a short (and informal) business plan, and started to network. Having three years of experience at an academic press helped immensely, too. 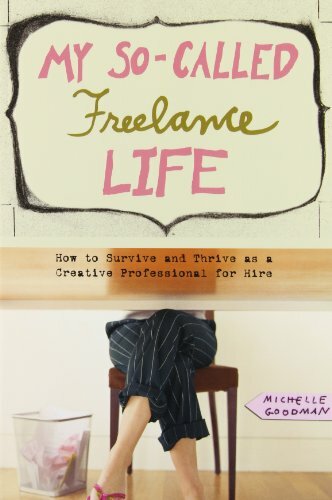 One of the first books I picked up, which was recommended by two of my freelance editor friends, was My So-Called Freelance Life by Michelle Goodman. It’s one of my favorites, and it really helped me gain the confidence and know-how to strike out on my own. When I left my office job to start freelancing, one of my colleagues gave me a card with a quote by Leonardo da Vinci on it (which I now have in a frame on my desk). It reads: “It had long since come to my attention that people of accomplishment rarely sat back and let things happen to them. They went out and happened to things.” This has been my freelance motto ever since. Goodman, Michelle. My So-Called Freelance Life: How to Survive and Thrive as a Creative Professional for Hire. Berkeley, CA: Seal Press, 2008. Nicole Wayland is a freelance copyeditor/proofreader and blogger based just north of Washington, DC. As the operator of Ford Editing, she edits for several publishers (both academic and trade) as well as businesses and individual authors. Her blog, Healthy Happy Sound, is centered on finding health, wellness, and overall happiness. When she’s not editing or writing, Nicole is likely searching for a new healthy recipe, rock climbing and practicing yoga, or traveling the world with her husband. Apart from her editing website and blog, you can also find her on Twitter, Facebook, and LinkedIn. Posted on October 29, 2014 by Alyssa W. Christensen and filed under Articles, Editing, Featured Articles.